Get Advent off to a meaningful start by celebrating with your whole congregation! Through drama, readings, and a whole-church Jesse tree project, WE: Expectations will help your church prepare for the coming of Jesus, the Son of God and the "son of David." 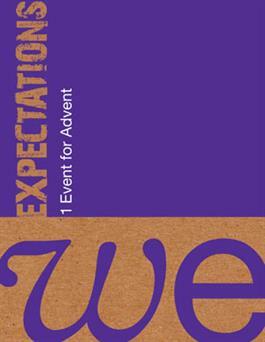 While other WE series contain several events, this single stand-alone event fits easily into your Advent/Christmas schedule. In addition, this program guide includes a bonus event: WE: People of Faith, based on Hebrew 11. Use it before or after Advent to explore and celebrate what it means to be part of a large family of faith.